Drum roll, and cue the gloriously satisfying theme song, because Tommy, Dill, Angelica, Chuckie, Phil and Lil are back! More than ten years since Rugrats went off air, Nickelodeon and Paramount Players have just announced that the lovable 90s babies will be making a return in both a 26-episode animated series and a live-action film, and in four words: I am losing it. Whether it’s just another attempt to relive childhood and indulge in popular nostalgia, I’m not complaining. In fact, if I could get tickets now, I would. I wouldn’t care if I had to queue for days. Rugrats was for many 90s babies the pinnacle of childhood viewing, and now with a series and a movie in the works, I just know it’s going to be a hit. Take all my money! Nickelodeon will take on the small-screen series: although the release date is yet to be confirmed, the show has already begun production in Burbank, California. 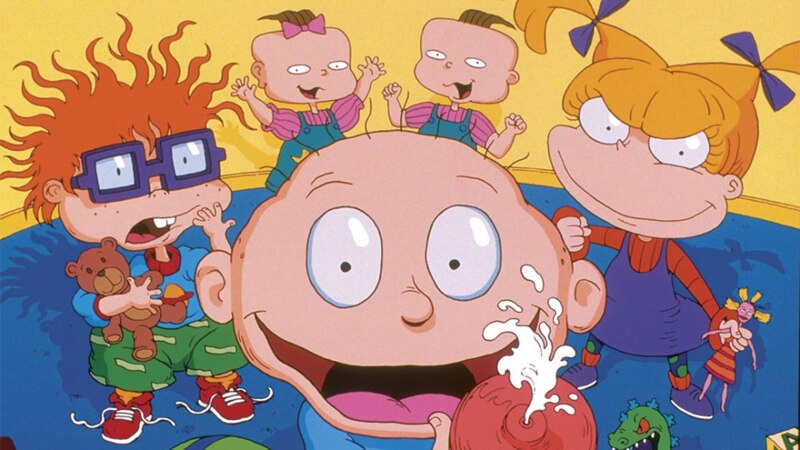 Original Rugrats creators Paul Germain, Arlene Klasky and Gábor Csupó (those of the unpronounceable names to many a small child enthralled by the colorful end credits) will return as executive producers so that they can supervise the project. As for the movie release, Paramount Players (a new film division launched to take on projects owned by Viacom cable channels) will be in charge. Rugrats already have a back-catalog of their very own feature films, including The Rugrats Movie (1998) and Rugrats in Paris: The Movie (2000), which opened with an unforgettable (and in my opinion, unparalleled) homage to The Godfather at the start. (If you haven’t seen it, it’s on Netflix right now - what are you waiting for?) This will be the first time they’ve made a big-screen appearance since Rugrats Go Wild (2003), arguably one of the most ambitious crossovers in movie history (sorry Infinity War) between the Rugrats and another equally well-loved children’s series, The Wild Thornberrys. While the new movie has just been given the green-light and won’t be released until November 13, 2020, it’s been confirmed that David Goodman (Family Guy, Futurama) will be writing the script, so we can expect a solid dose of the humor he already brings to animation. This movie is going to be slightly different - it’s going to be live-action but with CGI characters - but put aside any reservations you might have because anything Rugrats is going to be awesome. Further details of casting, airtimes and release dates will follow in coming months, but in the meantime, it’s possible that Nickelodeon could let slip a few vital details at San Diego Comic-Con this weekend, so lucky attendees might have a shot at finding out more. What can be expected is more of the wacky antics of our fave characters, the return of Reptar, and oblivious Pickles parents. A baby’s gotta do what a baby’s gotta do!